As the bumper sticker says, "If All Else Fails, Read The Instructions." Whether we're trying to fix a car, fly a kite, or practice spiritual life, no matter how much we may think we know, it helps to have a "how-to," just in case. Below are some we hope you find helpful. Like to see a "how-to" for something you don't see here? Please let us know. 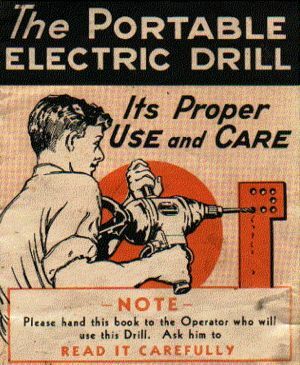 BTW, antique electric drills are not available in our store. How to chant the Hare Krishna mantra on beads—a basic mantra meditation manual—Introductory Level. Kirtan, what is it, and what's in it for you? How to Offer Food to Krishna—Hungry? Probably time to eat. But wait—Krishna says "whatever you eat, offer it to Me first." How are we supposed to do that? Hidden Animal Ingredients in Foods—A list of what's in pre-packaged foods that you might not have thought was there. Ever wished that you could download all of the great videos posted on Krishna.com? Read this article for a step-by-step process to do just that. Wondering whether or not you can offer a pre-packaged food item to Krishna? Here's a list of ingredients that could be non-vegetarian. How to get up and running in your practice of chanting Hare Krishna in the privacy of your own home.